The crane is a kind of machinery for circulating and intermittent movement. The device for picking things lifts the articles from the place of acquisition, then moves the items horizontally to the designated address to lower the articles, and then carries out the reverse movement so that the collecting devices come back in place for the next time. cycle. 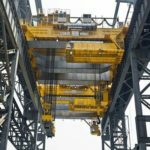 Cranes, according to their different structures and functions, are divided into different types, which can be generally divided into three categories: light and small lifting equipment, bridge type lifting equipment, and boom type cranes. 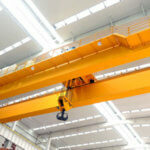 With the extensive use of cranes, cranes have encountered various difficult problems in the process of equipment. Safety issues cannot be ignored. 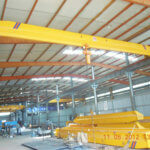 Therefore, safety equipment must be installed during the process of bridge cranes. 1. The hoisting organization must be equipped with a hoist limiter. 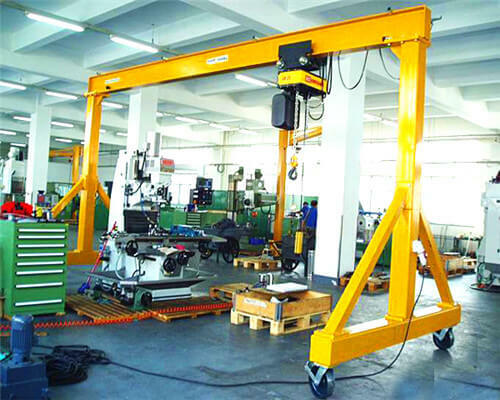 When the hoisting tackle hoists 300 mm from the lifting organization rack, it can actively block the power supply of the motor and the motor stops the operation. It is the safety equipment adopted to prevent the crane from approaching the end of the trajectory and attack the incident, or the two cranes attack on the same trajectory. 2. 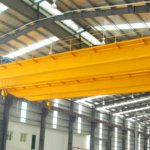 The active interlocking equipment is mostly over the overhead bridge crane. In order to avoid the electric shock of the maintenance personnel, it is required to install active interlocking equipment at the warehouse doorway leading to the driver’s cab. The shock absorber is a safety device that absorbs energy when the crane collides with an object and has an effect when the crane brake and the end switch malfunction. 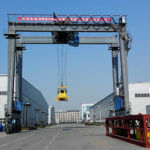 When the crane is connected to the end column of the track, it ensures that the crane will park more smoothly. 3. Brakes, a device that enables the lifting device to suspend operation at any time during lifting, translation, and rotation, and to keep heavy objects at any height. It can avoid accidents and satisfy job requirements. Because the effect of the brakes is very important for the crane, the onset of many events is often caused by a malfunction of the brakes or claps.